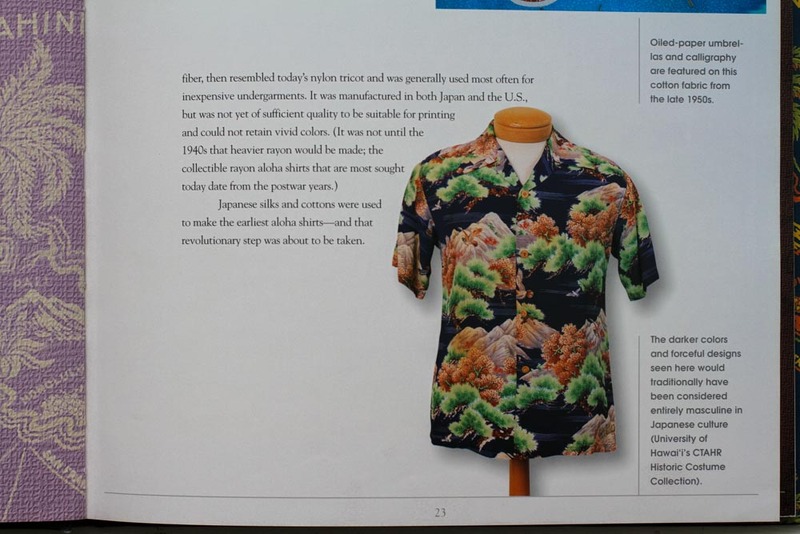 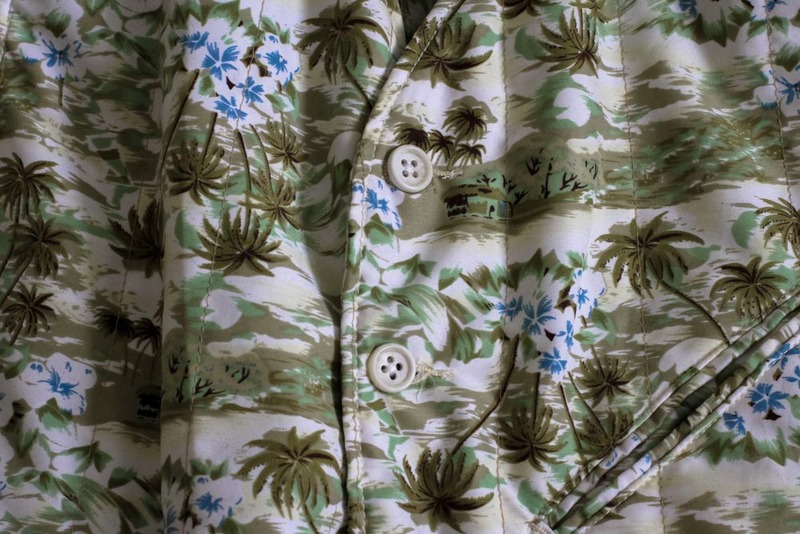 During my travels down to Hawaii this last spring, I was able to learn a bit about the local shirt and fabric industry and one of the better information resources I have found on its history is “The Art of the Aloha Shirt” by DeSoto Brown and Linda Arthur. 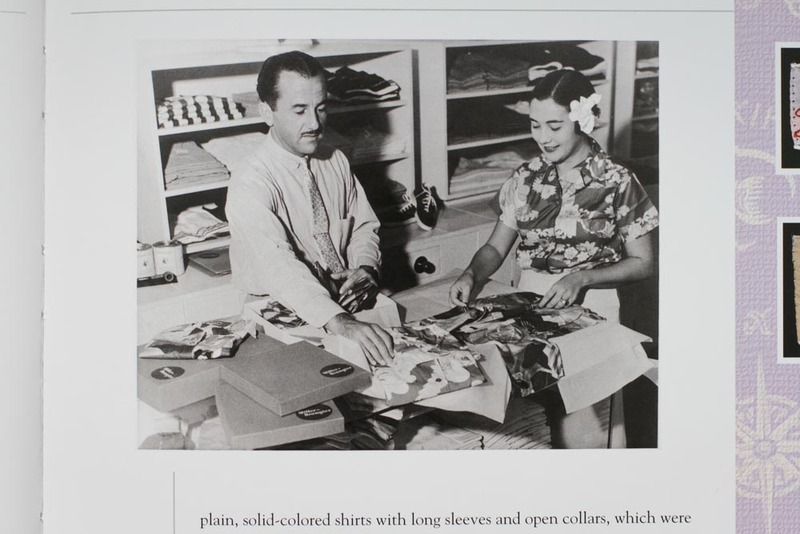 Only a hundred pages in length, it does a great job of providing an overview of the industry through its mainstream debut in the 1930’s, fabric production, and the impact of different cultures and WW2. 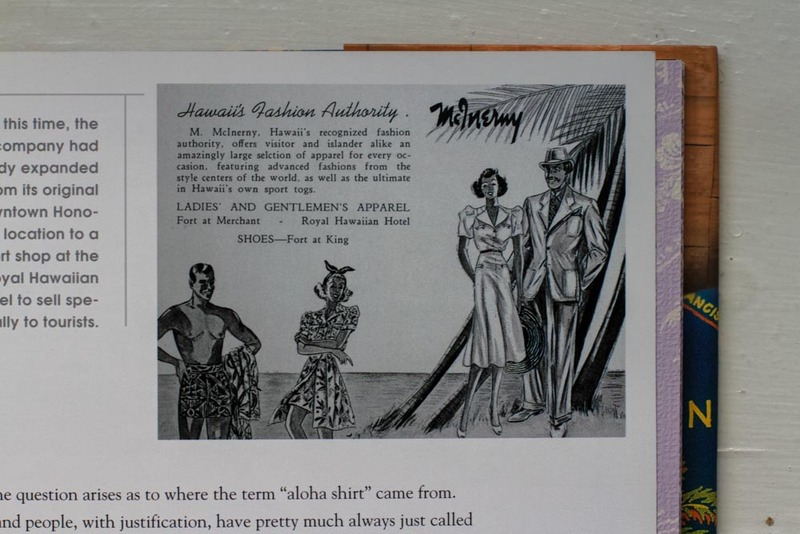 An ad from 1939 targeting tourists showcasing new fashions made from Hawaiian fabrics. 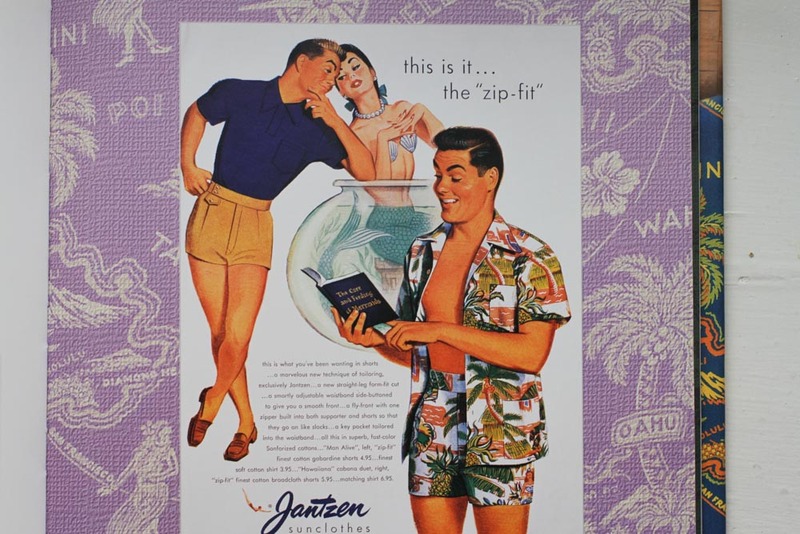 An ad from Oregon based Jantzen featuring a matching shirt and shorts Cabana set. 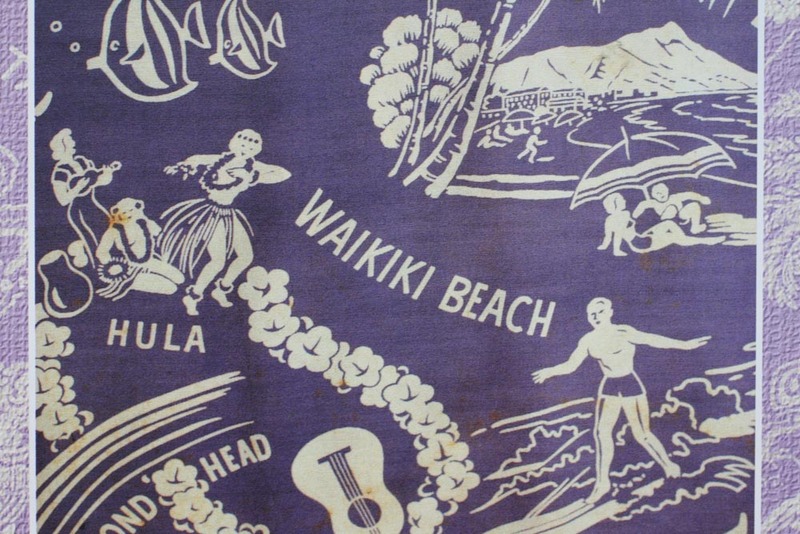 A vintage fabric described as a “chop suey” or “hash” pattern which combines many different Hawaiian themed design elements and labels. 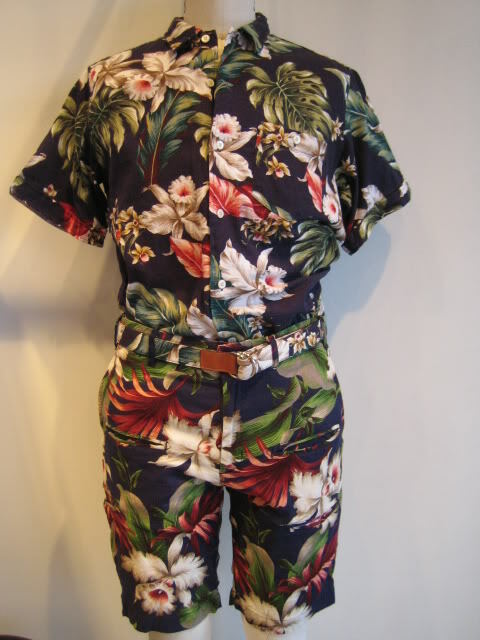 These were a highlight of the golden age when designers were creating many different styles to meet mainland demand. 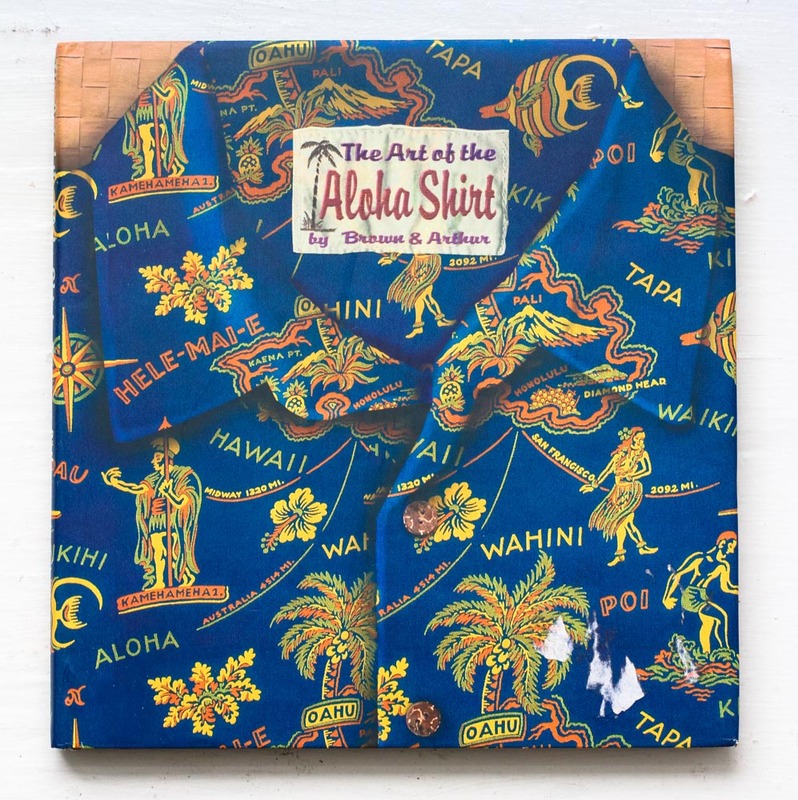 The Art of the Aloha Shirt is luckily still in print and readily available through Amazon, though in a newer version with a different cover. 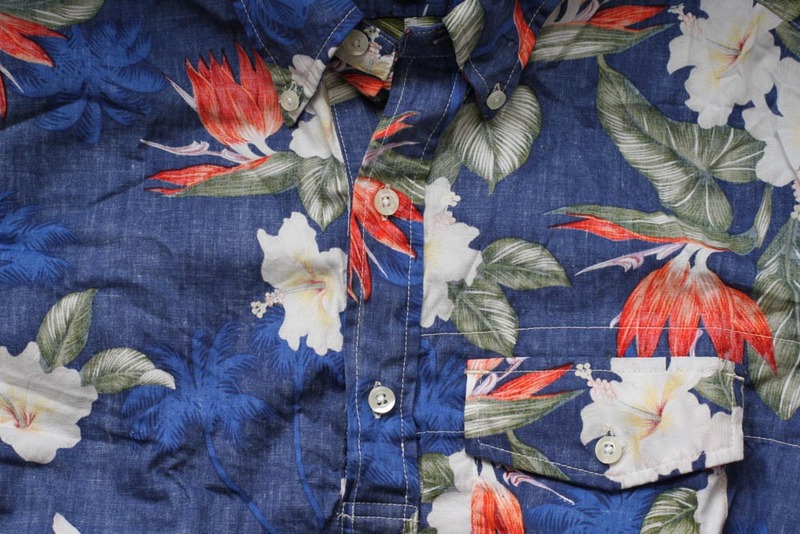 The first edition shown above can still be found on ebay for slightly more however.